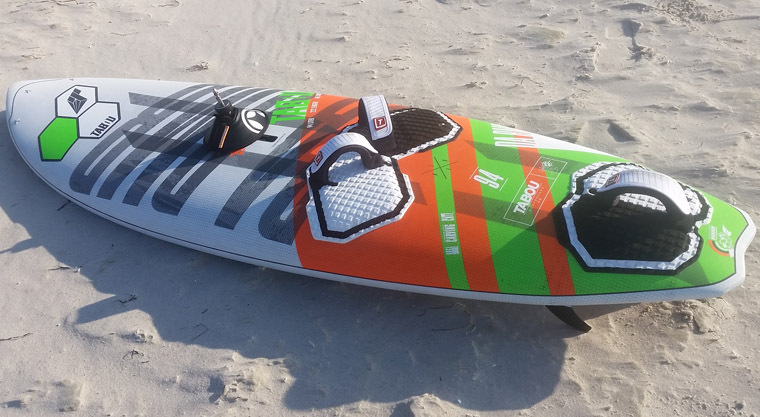 The fastest Tabou wave board, designed for waves that require early planning and lots of speed. Waverider focused on speed and early planing. 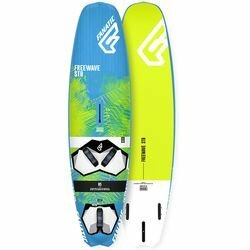 New for 2018, the DaBomb is a waveboard that is fast and easy. 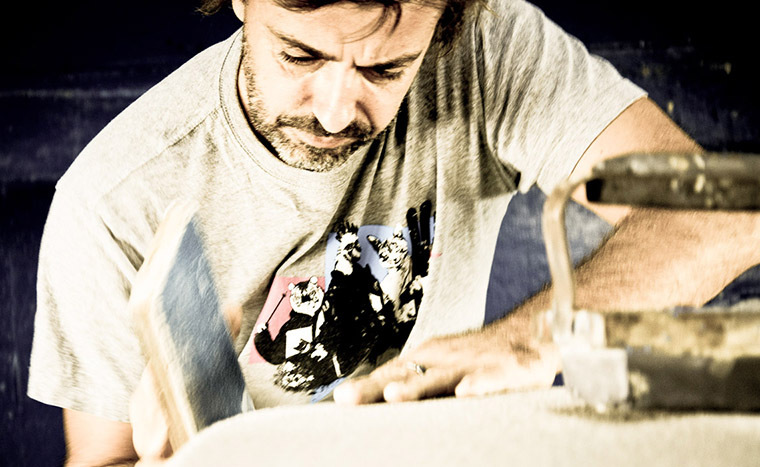 The rocker is designed for speed. 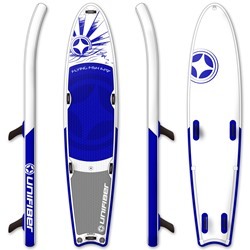 The longer outline gives the DaBomb a balanced feel and allows you to easily get out through whitewaters. 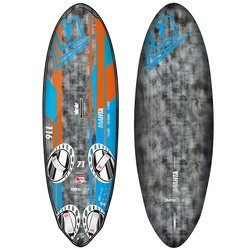 The short tail means that the board turns fast and easily when pressure is applied to the back foot. 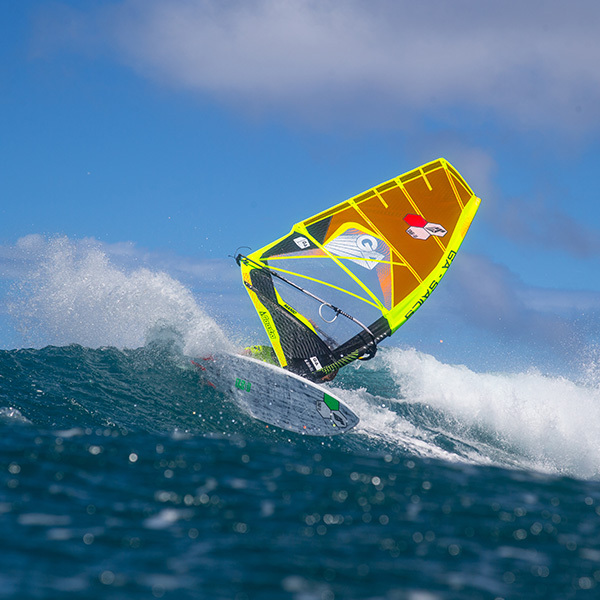 The mini-channels on the bottom give more control in the bottom and top turns. The center fin box uses the US-box system to allow for either a thruster setup or a big single fins to get planing early and ride through chop. 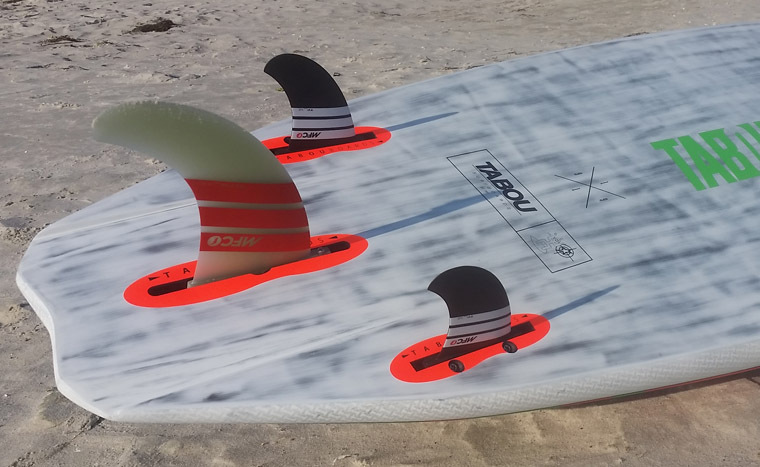 The combination of speed and control make the DaBomb the best jumping board in the Tabou range. 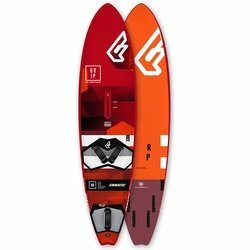 3 sizes: 84, 94 and 104 liters. You should aim at Da Bomb size that is a bit bigger than your weight is. For example, if your weight is 85 kgs, go for Da Bomb 94. 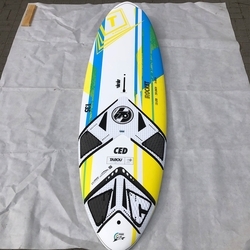 Da Bomb is available to ride as a thruster fin setup or with a larger single fin, thought the one supplied would be a bit too short if used without the side fins. A center fin is US-box while the side fins are slot box fins. 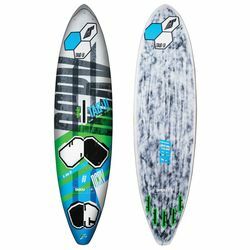 Da Bomb is equipped with high class Maui Fin Company TF fins. 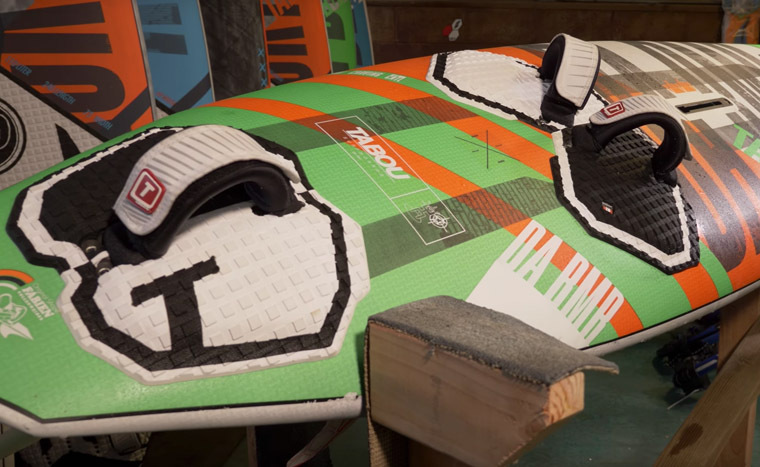 This model is the most used thruster setup on the market. 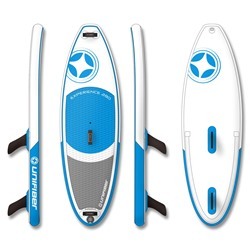 Excel in maneuverability and all around wave conditions. DaBomb features quality comfortable 3 Tabou footstraps. Please note the back footstrap has 2 screws each side so it will never twist. Short, with wide tail and semi wide nose. 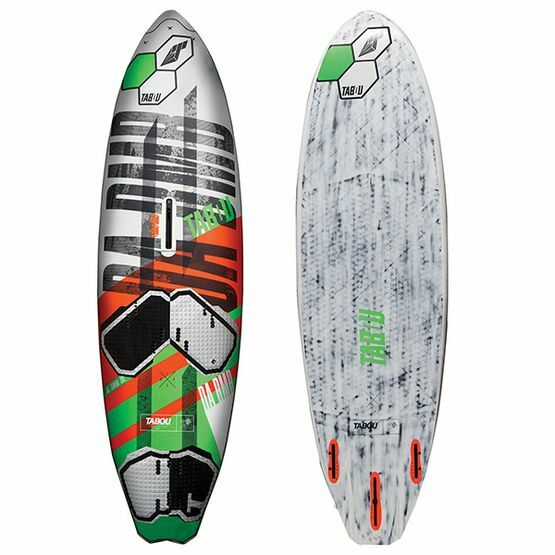 Very compact board with the short tail - means that the board will turn fast and easily when pressure is applied to the back foot. On the bottom you’ll find the mini-channels to give more control in the bottom and top turns and the rocker being optimised for speed. 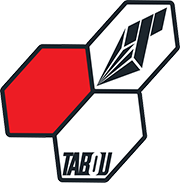 DaBomb is build using PVS Full Sandwich technology. 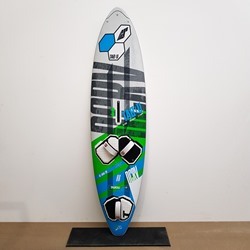 That makes board light yet stiff and durable. 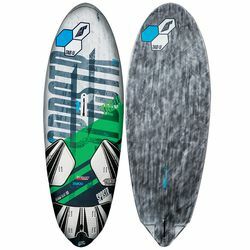 I'm only riding waves from time to time, and being not the top-level wave rider I found this board like it would be designed to me. 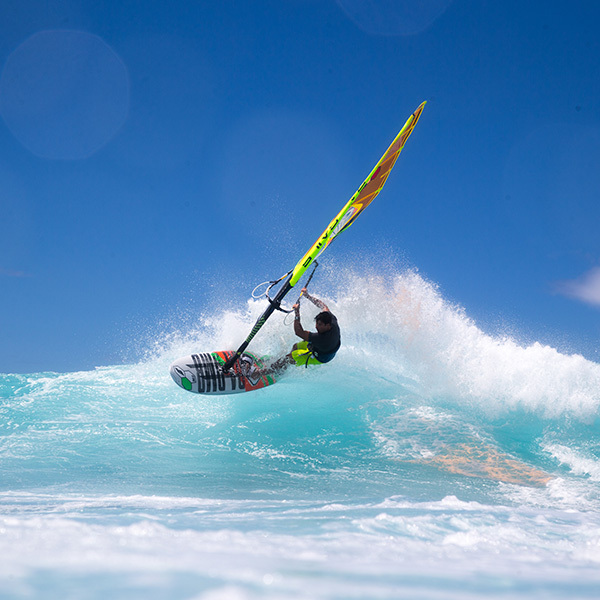 I windsurfed her 3 times so far in chest height waves and was more then comfortable. So easy to plane, so easy to turn and so easy to jump. I was riding it also on the bump and jump conditions and it was very fast compared to other wave boards.